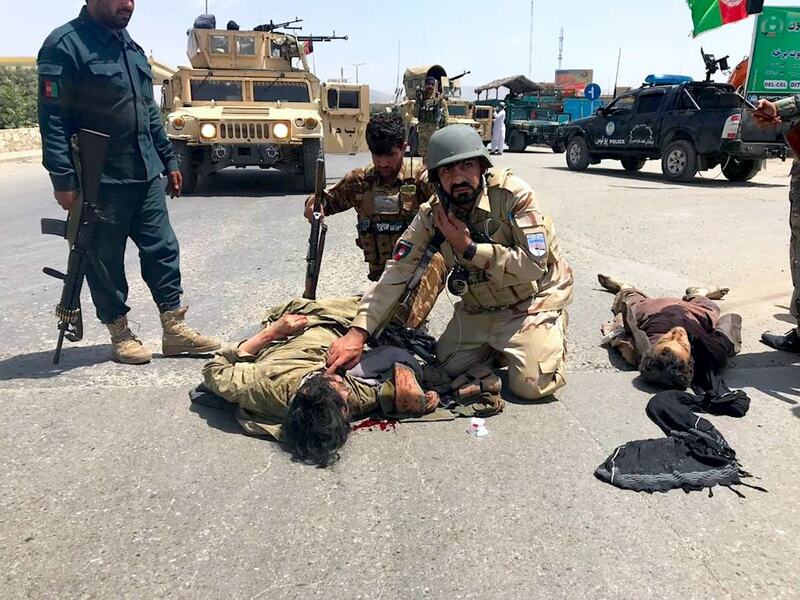 GHAZNI -- Afghan forces responded with air strikes and ground operations after a Taliban attack in Ghazni Province killed at least seven government personnel, including the district governor. Taliban militants launched a pre-dawn raid on a district government compound in Khwaja Omari District Thursday (April 12), officials said. District Governor Ali Shams Dost and six police were killed and 10 intelligence officers were wounded, provincial governor's spokesman Mohammad Arif Noori told AFP. Afghan forces launched an air and ground offensive later Thursday in response, killing at least 38 militants and wounding 30 others, said Noori, local media reported. The militants used a ladder to climb into the compound, deputy provincial police chief Ramazan Ali Mohsini told AFP, giving a death toll of 13. Scores of Taliban fighters were killed, he added. 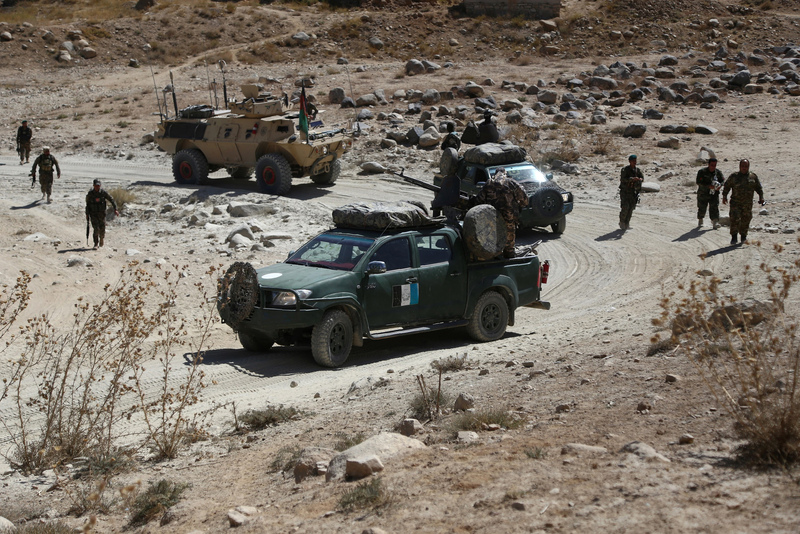 "The attack is over, and the district is under the control of Afghan security forces after reinforcement forces rushed to the scene," Mohsini added. The Taliban claimed responsibility in a WhatsApp message to journalists. False claims by the Taliban that the militants had seized most of the government buildings in the city were an attempt at creating "strategically inconsequential headlines", said US Forces Afghanistan. 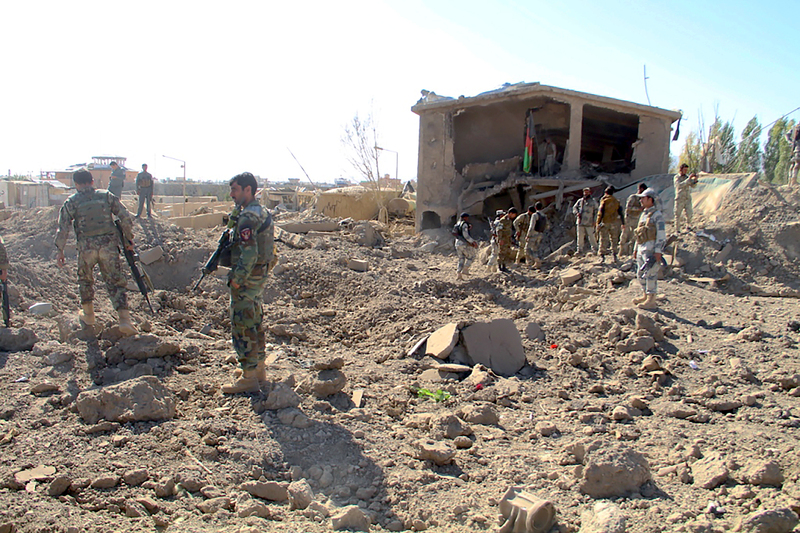 At least 43 Afghan soldiers were killed in a Taliban attack on a military base in Kandahar, while militants attacked police headquarters in Ghazni for the second time this week. The victims of the Taliban-claimed attack include women, students and police, say officials.